Voluntown is a rural community in New London County, Connecticut. Two-thirds of this quiet town is made up of state forest. The Pachaug State Forest provides the residents of Voluntown with beautiful scenery and many outdoor activities to enjoy. Unfortunately, the rural landscape in Voluntown is something not only people enjoy, but many insects, rodents, and other pests as well. To keep the pests that live in and around Voluntown in check and away from your home or business, turn to the local pest control experts at Big Blue Bug Solutions. Our general or targeted pest control services work effectively to get rid of pests that are invading your property and prevent them from returning. Contact Big Blue Bug Solutions today to learn more about our quality, affordable, pest control options and see which one is best to eliminate and control the pests living in and around your Voluntown home or business! Would you rather trust a company with over 80 years of experience to protect your New England home from pests, or DIY solutions that often fail? At Big Blue Bug Solutions our experience and our Home Owner’s Policy work together to protect Voluntown homes year-round from a wide variety of pests such as ants, fleas, earwigs, silverfish, roaches, pantry pests, bees, wasps, rodents, and more. The HOP program offers effective and responsible solutions to the common pest problems that plague Voluntown homes and homeowners. HOP provides our customers with three visits per year, preventative treatments, and the on-going monitoring of susceptible areas. Through our HOP program, we also provide the guarantee that if pests become a problem in-between visits we will return as well and at no additional charge to you. Also, our blue glove service guarantees that our technicians wear blue gloves and blue booties whenever they enter into your home; ensuring that it is as clean when we leave as it was before we came. Reach out to us to learn more! Carpenter ants are a wood-damaging pest that can cause extensive damage inside a home that they have decided to invaded and nest in. Carpenter ants tend to work slower than termites because they aren’t actually consuming the wood, just tunneling through it to create nesting areas, but this doesn’t mean they are any less of a threat to your home and bank account. Left untreated, carpenter ants can damage the structure of your home, contaminate the food in your kitchen and pantry area and, in the end, cost you a lot of money in repairs. To help protect your Voluntown property from being damaged by carpenter ants, Big Blue Bug Solutions offers a customized carpenter ant solution that is backed up by a one-year warranty which can be renewed on a yearly basis and that can be transferred to new owners if you sell your home. Don’t allow carpenter ants to live inside or near your Voluntown home for one more day, take action now and contact our professionals to eliminate these wood-damaging pests from your property. To help Voluntown business owners control pests in and around their commercial properties, we have developed our highly effective Monthly Maintenance Program. The Monthly Maintenance Program includes once-a-month visits where our professionals monitor all pest activity and perform preventative treatments. If pest activity is ever detected we will take care of the problem immediately. However, some pests such as termites or bed bugs may require additional planning before treatment can begin to ensure their complete elimination from your commercial property. In addition to our Monthly Maintenance Program, we offer other solutions to keeping pests out of your facility, solutions such as IPM (Integrated Pest Management), pest control insulation, and drain cleaning. 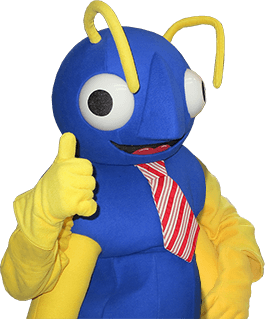 Find out today why partnering with Big Blue Bug Solutions is the right choice to solve all of your business’s pest problems today and in the future. Bed bugs are prolific pests that have the potential to take over any home if precautions are not taken. At Big Blue Bug Solutions we want to help you prevent invading bed bugs from taking over your Voluntown home by offering some easy-to-execute bed bug prevention tips. Cover power outlets in your home. In addition to hiding in the seams of mattresses and box springs, outlets are another favorite hiding spots for bed bugs. Clothing that you are going to be storing in your home should be kept in vacuum sealed bags. Regularly vacuum your home especially in the areas where you, your family, and any pets sleep. Remove areas of clutter from your home that bed bugs could hide within. Regularly wash dirty laundry, dirty laundry is very attractive to bed bugs. Place bed bug-proof covers on all mattresses and box springs in your home. This gives bed bugs fewer places to hide within your home. Don’t purchase used items for your home such as upholstered furniture, mattresses, and box springs. If bed bugs do find their way into your home, don’t panic. Contact New England’s bed bug control experts at Big Blue Bug Solutions. Our professionals will complete a thorough inspection of your home and, if bed bug activity is found, act quickly and create a tailored bed bug control plan to completely eliminate the infestation from your home. Call us today to learn more!